A small business with a strong community commitment. 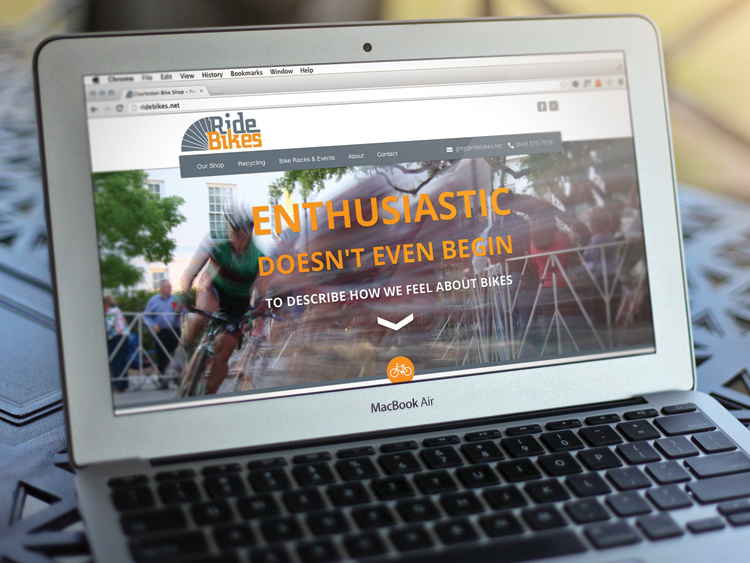 Ride Bikes is a sustainable neighborhood bike shop with a big heart. 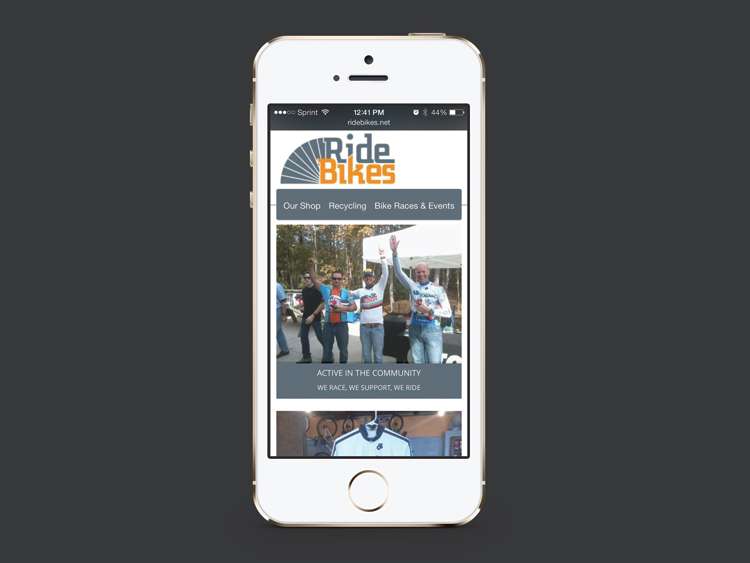 The owner is a strong advocate for bike safety and eco-friendly practices, and we were excited to work with him. 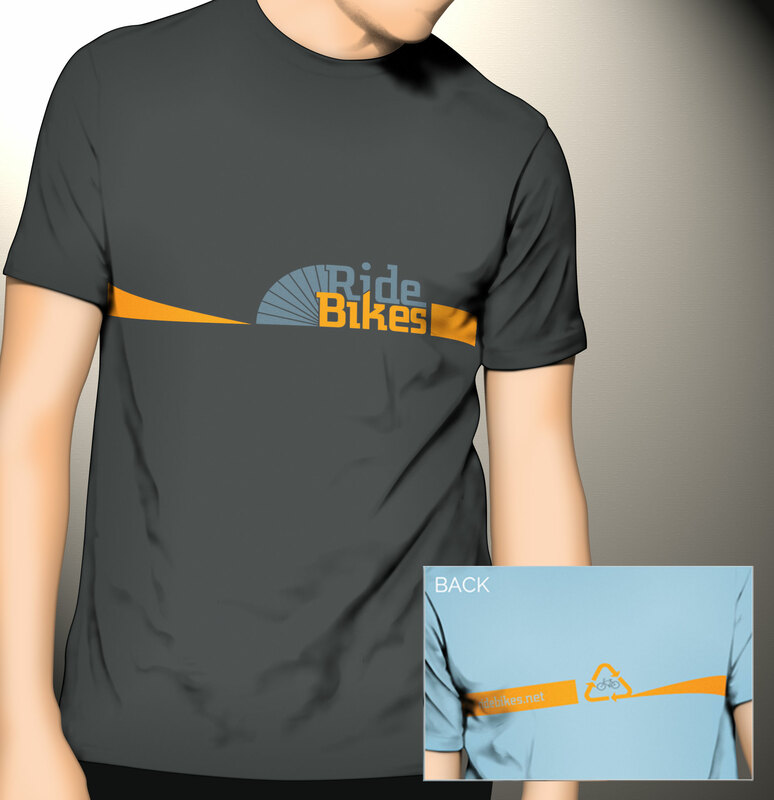 As a startup, they approached us for full brand development, including logo design, apparel design, and web design. We conducted a brand consulting session to capture & portray the message in a way that truly exemplified the owner’s personality. This helped refine a stylistic direction as well as serve as a survey of the general marketplace. We designed the brand logo for the shop, centered around the style of service and the client’s preferred color scheme. 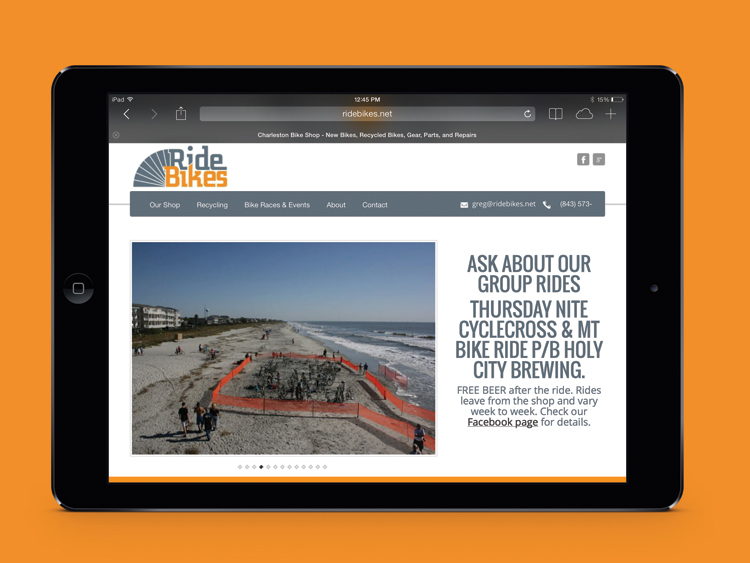 We developed a one-page microsite to feature their services, recycling efforts, events, the owner’s long history with cycling, and contact information. 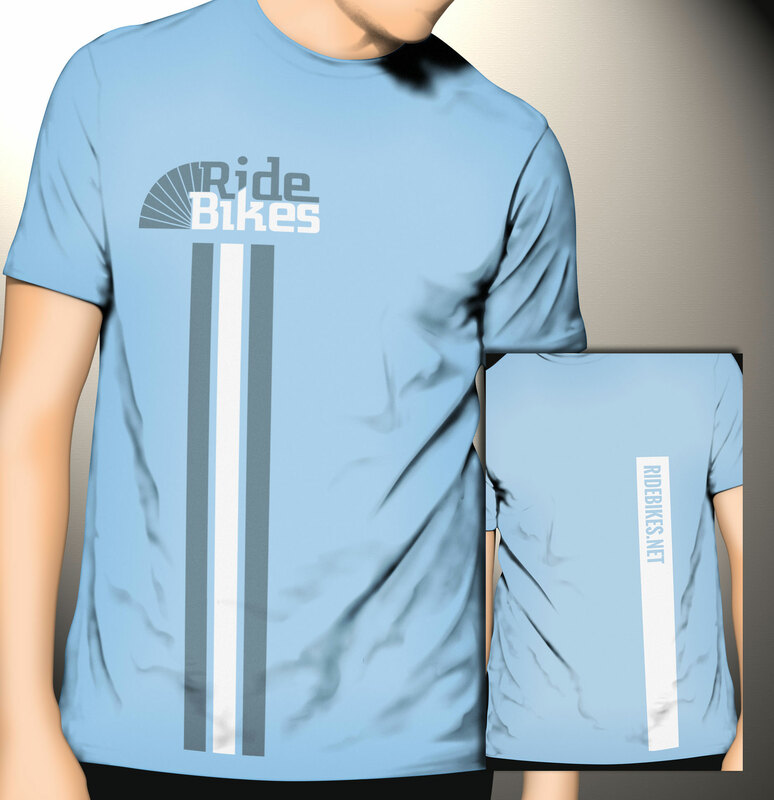 We created multiple designs for shop apparel and merchandise. 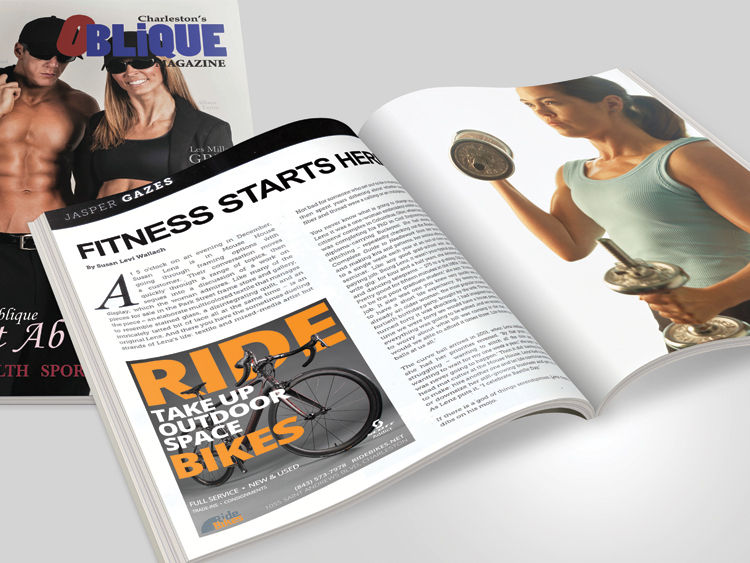 We designed magazine advertising for local publications. We helped them get set up on Facebook.